This was my second ever English saddle. It’s got a lot of issues but I thought I would give it an update of some sort today. It still has issues. The knee rolls annoyed me so much that I’m scared to try and put the orange mess together. Anyone want to make me some English tack? I can make you an Arabian costume. Or other Arab stuff. Or halters. For every single horse in your herd. I really wish I could get things right the first time. But then… would I ever learn anything? I believe that in order to learn and improve later, you first have to make mistakes and fail about a million times. Ok maybe not a million times, but a lot. I’ve been working on the pieces for an Arabian costume this week. I like the braiding for the halter and collar pieces, but when it comes to sewing them together, I always seem to run into problems. 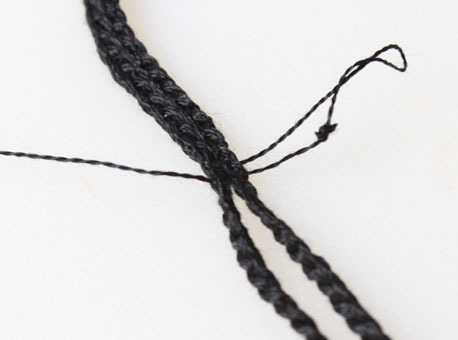 Sewing the middle edges together of the two braids caused the piece to fold over and twist on itself. Was I pulling the thread too tight? Are the braids too tight? 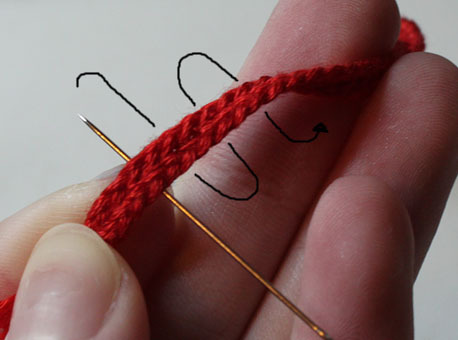 Or was I just using the wrong sort of stitches? Then my thread got twisted and knotted itself before I could catch it. GAH. I ended up tossing the piece aside and starting over again. While I’m at it, here’s a picture of three more failed attempts at Arabian halters. 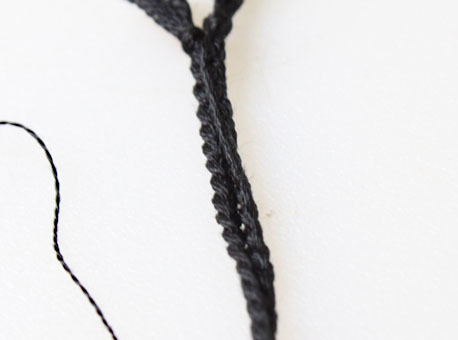 Sewing the pieces together somehow caused the entire braid to twist on itself. I started these so long ago that I can’t remember how I was stitching them. 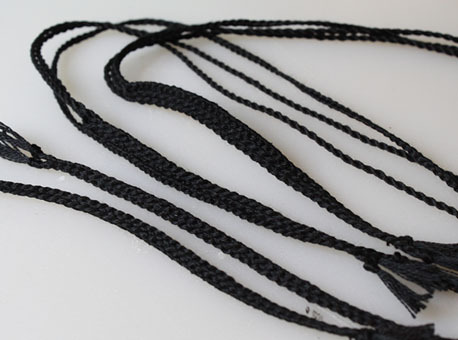 It was also very frustrating, because the twists made the braid really irritating, if not impossible, to work with. 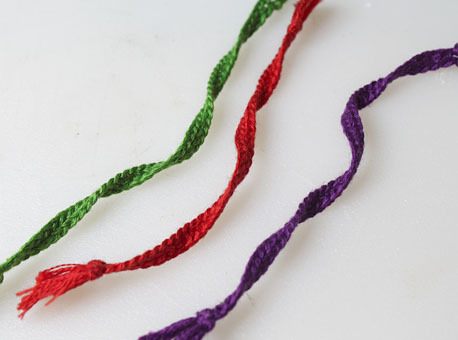 I’ve found that stitching through both pieces entirely (in a serpentine sort of pattern) helps prevent the braids from twisting or folding or being stupid in general. The stitches I make aren’t pulled really tight, but tight enough to keep the whole thing secure.